INTRODUCING ANOTHER PASSIVE INCOME OPPORTUNITY FOR YOU! Does the idea of being in the “pretty house” business sing to you? Does facing another dirty- stinky clean out make you nausea just thinking about it? Would you like to learn how to have your investment property sold before it’s even built? If you answered “yes” to any of these questions, be here Saturday, July 9 when Joe ” Boston will be rolling out the latest investment program he is putting together for you. Here’s why he is so excited to be bringing to you this timely investment program. With more than 80,000 people a year moving to North Texas, homes are in high demand but are in short supply. And if you know anything about economics, that’s the perfect storm for you… if you’re a new home builder. And analyst say, there is less than a three-month supply of houses listed for sale with real estate agents in the Dallas-Fort Worth area. Again, if you’re a builder, that’s great news. And how about an investment strategy where you will gain Immediate Equity; Qualified Buyers Before Construction is Completed; and Experience Double Digit ROI. Think becoming a builder will be way too time consuming? Or maybe you’re thinking, I can’t add one more thing to my plate. Or maybe you’re thinking, become a builder?! I haven’t even bought my first investment property, what do I know about being a home builder?! Well, Joe will be here to show you how you can be a part of this exciting new investment program designed with you, the passive investor in mind. Yes, you read that right. Joe will be showing you how to be a part of this passive home builder investment program. What Can You Expect From Attending this information packed presentation? 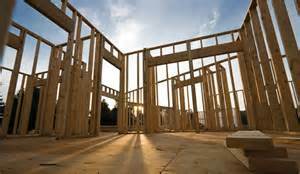 • Why The New Construction Strategy – The benefits of building and investing in new homes. • Materials- The key components to insuring your ROI (return on investment). • The New Land Bird-Dog Program (Property Scout) earn money by finding lots for the our new construction program. • How You Can Make BIG MONEY with New Construction deals by participating in our turn key process! So join us for this Saturday at 11:00 am at the Dallas REIG Training and Education Center, when Joe will walk you through it all, answer your questions, and provide a great networking opportunity. Luckily, you don’t have to go at this alone. We can help you start and walk you through the process. If you like making money, you should be here.